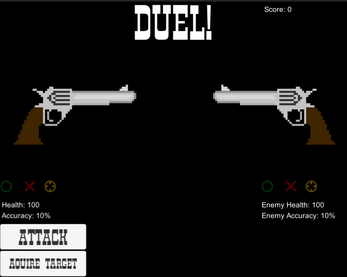 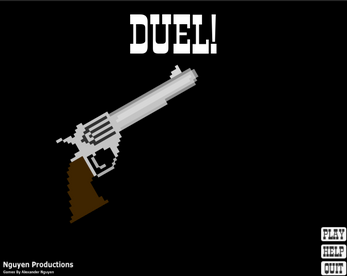 Duel is a simple turn-based strategy game where you decide to put it all on the line or make a bet to increase your chances of winning. Story Mode - Follow a mysterious wanderer as he tries to get a drink in the small town of Snakebite Gulch. 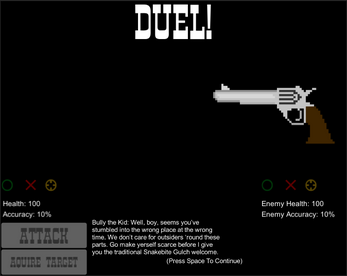 Endless Mode - Fight as many rival cowboys, outlaws, or sheriffs until its your turn to head to the coffin.